If you wish to run, first you must walk. Although we think that might not apply to Nick Salazar, the brains behind TriRig and its component line, the Alpha, Sigma, Mercury, and Omega. That’s because all of these products are solid runners from the word start. Today, however, we might just be seeing what his real pace looks like, because the next generation of TriRig is here. The Alpha, Omega, and Sigma have all been upgraded to be included in what TriRig calls “The X-Series;” and in particular, the Alpha X is worth a serious look for anyone who has a standard stem and wants to go faster. 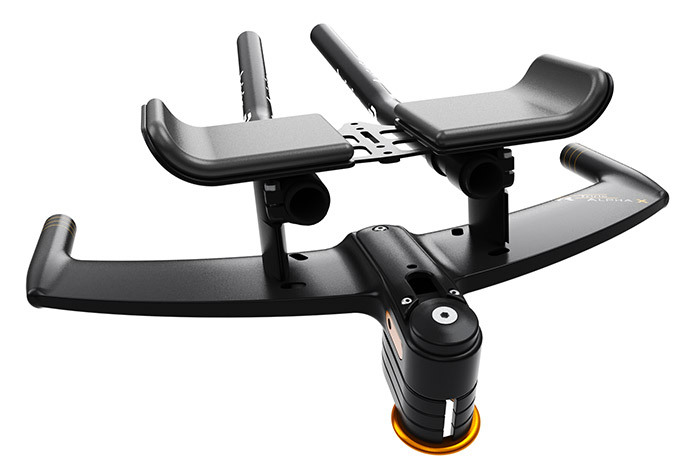 Calling it “a complete front-end cockpit and fit solution,” TriRig offers the Alpha X as a single, fully integrated, system. Every Alpha X comes with aero stem spacers (40mm total stack), a super low-profile dust cap, all the extension pedestals you could want (included hardware will get you 55mm worth of rise), a BTA mounting plate, arm cups and pads, as well as the base bar/stem combination. Extensions, however, are not included in the standard package, but Gamma Carbon can be ordered with the Alpha X for an extra charge ($100). There is a lot going on in the Alpha X that might not be immediately apparent, so let’s take that stem cover off and have a quick look. With the cover off, we can see exactly what’s going on, here. The Alpha X can fit a full Di2 junction box in the stem compartment, as well as route the brake cables where they need to go. 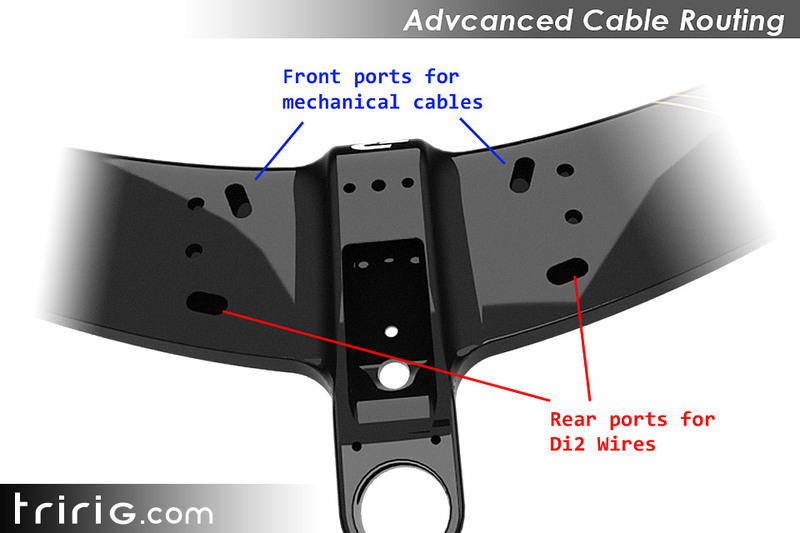 By storing the junction box internal to the base bar, the major complaint about non-integrated Di2 bikes – that clean routing is almost impossible – suddenly becomes moot. What’s more, charging a hidden junction box is no longer the hassle it once was. 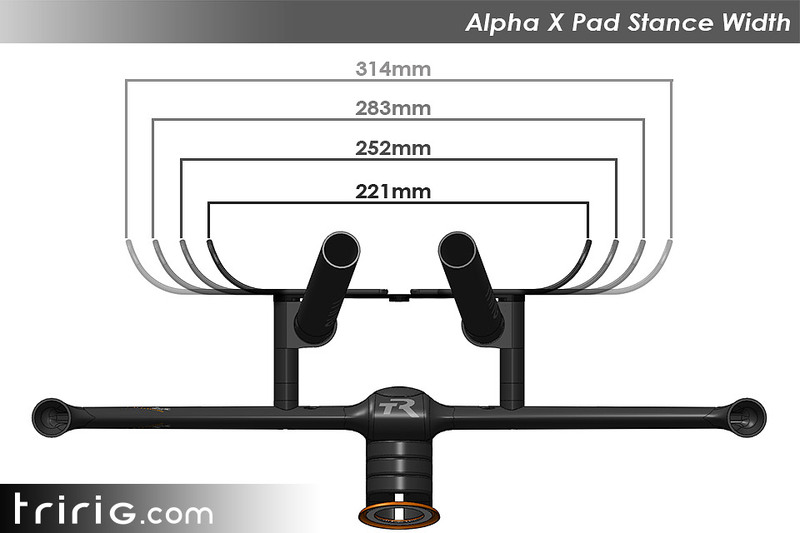 If the system works as well as advertised, the Alpha X could make a lot of Di2 riders very happy. 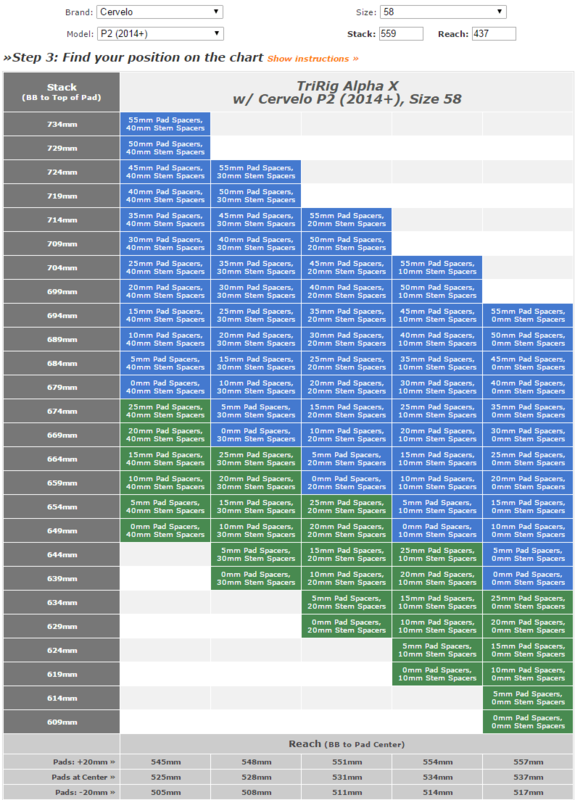 For those who run mechanical setups, don’t worry; TriRig has you covered, too. 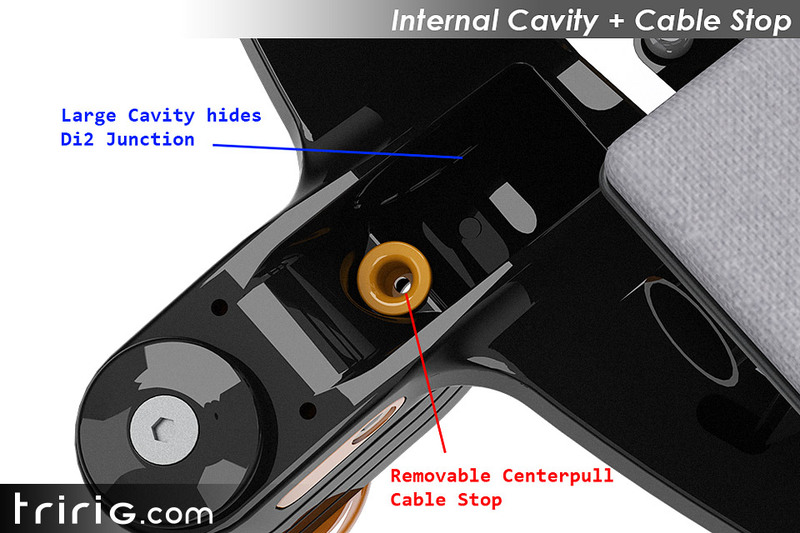 There are ports for mechanical cabling early on the bar, allowing the cables an easier series of bends while still having them disappear inside the bar to keep your front end clean. Then, along with your rear brake cable, everything exits out of the opening at the back of the stem cover and down into whatever ports the bike you’re installing on requires. If all this sounds a bit complicated, we will be testing on a mechanical bike, so stay tuned for how the idea works once a bike gets involved. 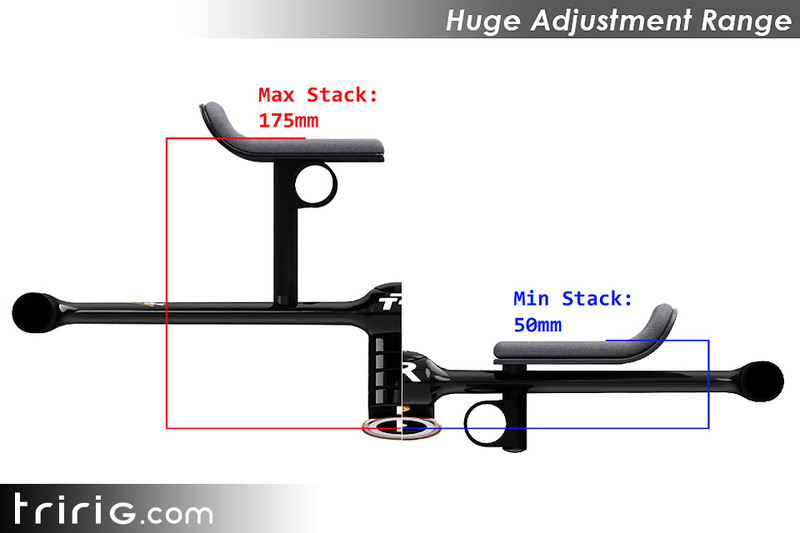 With only a single stem length being offered, the question is, how accommodating will the Alpha X be to riders with varying stack and reach numbers? Taking stack into account first, there is a range of 125mm of vertical play available on the Alpha X, from 50mm above the top tube to a seriously tall 175mm. Reach is configurable through a 40mm (+/-20cm from center) range, and the pad width is configurable from 221mm at the narrowest from outside to outside, all the way out to 314mm, in 31mm increments. We understand that trying to figure out how a new cockpit will fit is both confusing and stressful; so does TriRig. They have included a pretty nifty fit calculator along with the release of the X-Series to help you understand how both the Alpha Classic and the new Alpha X will fit. To show you how it works, we plugged in our test bike, a Cervelo P2, into the fit calculator to see how we would need to set the bar up – looks like some spacers are in our future! Good thing they’re included. 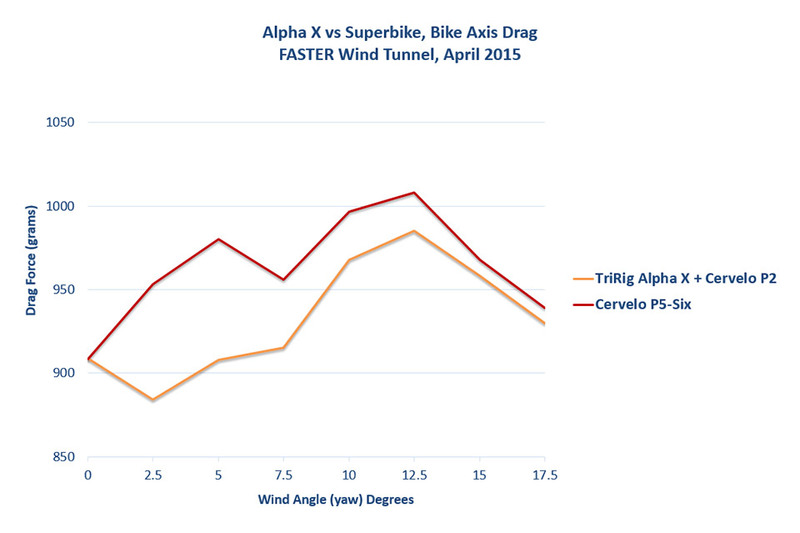 Somewhat conveniently, when the FASTER wind tunnel was testing the Alpha X, they also used a new Cervelo P2, and the results might be a little bit surprising. Against a P5-Six with identical stack and reach numbers, the P2 (equipped with the Alpha X and new Omega X), came out the victor. Certainly, the 6:1 truncated airfoil of the Alpha X helps, with the effective ratio coming in at 10:1, as does the cable routing and integration, but tests like these show just how good bikes have gotten, from top to bottom. Set up properly, even a modern, “entry-level” bike can hang with the superbikes, and that’s something worth talking about. Overall, the Alpha X is a great achievement by TriRig, and we can’t wait to get our hands on one to start testing. If you want to get your hands on it, the standard package will set you back $999, and doesn’t include extensions (standard clamp diameter means you can run any ones that you happen to like). If you want to buy it with the Gamma Carbon extensions, add another $100, for $1099 total. It goes on sale today, and should be shipping in six to eight weeks. If you’ve been looking to upgrade your current bike, this could well be the cockpit for you. It’s hard to find a full review on this cockpit. With the price at $750 currently I al considering this front end. What were yalls thoughts on this after use? Thanks!